You cannot go parasailing if the weather is: extremely windy, rainy, stormy. Parasailing boats in Playa Del Carmen have platforms that allow you to get into the air without having to touch the water. If you want to have your feet dipped in the water, you must ask for this. This is called a “stop and go” in parasailing terms. A stop and go is controlled by the boat’s throttle. Parasailing costs approximately $65-$75 USD per person. 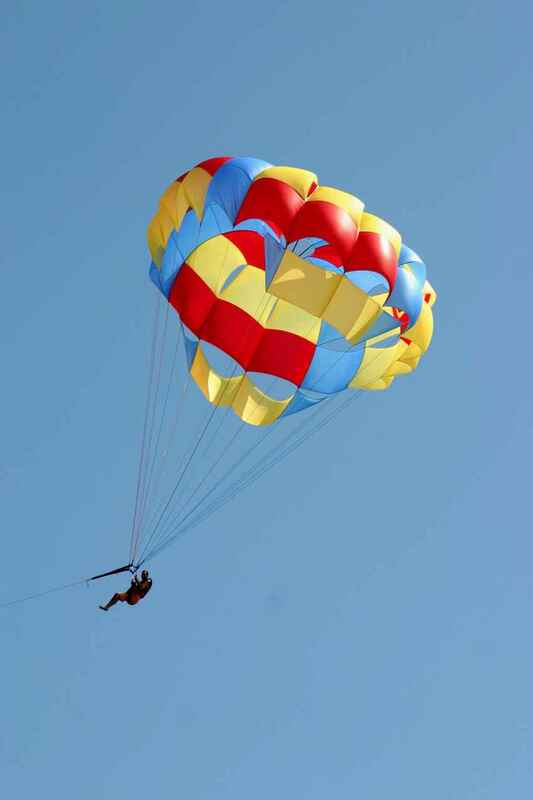 Then entire parasailing experience takes around an hour (with around 15 minutes of that hour in the air). If you want to go parasailing, fill out the contact form below. Your name and contact info will be sent to Erika, my parasailing expert here. For years I used to watch the people parasailing in Playa Del Carmen and think they were all lunatics. I would imagine them sailing over the resorts and landing in a mangrove swamp with alligators and piranhas. Although before I even got in the harness I got the full safety brief. I soon learned that parasailing isn’t a crazy adrenalin sport. 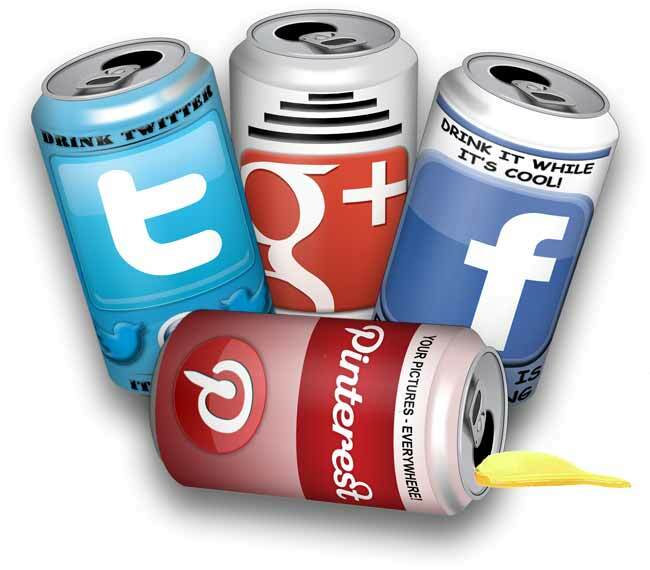 It’s not heart-in-your-mouth, nerve-jangling madness. 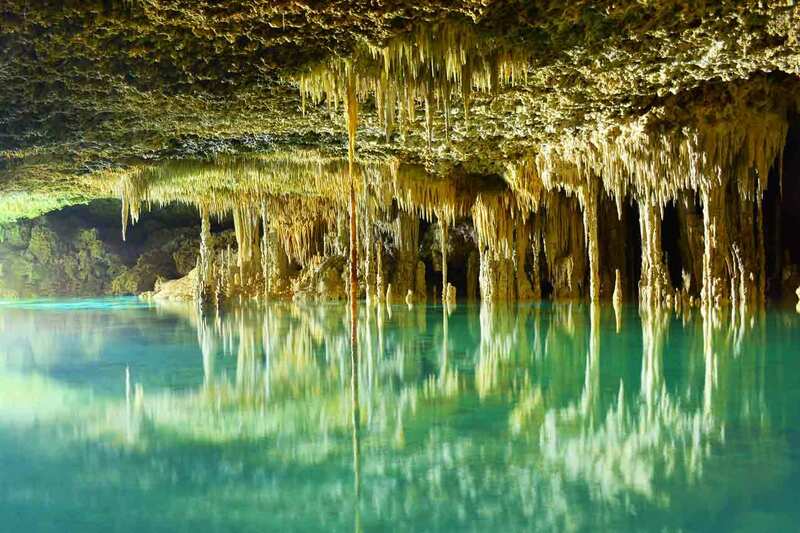 It’s one of the most serene and beautiful ways to see Playa Del Carmen. 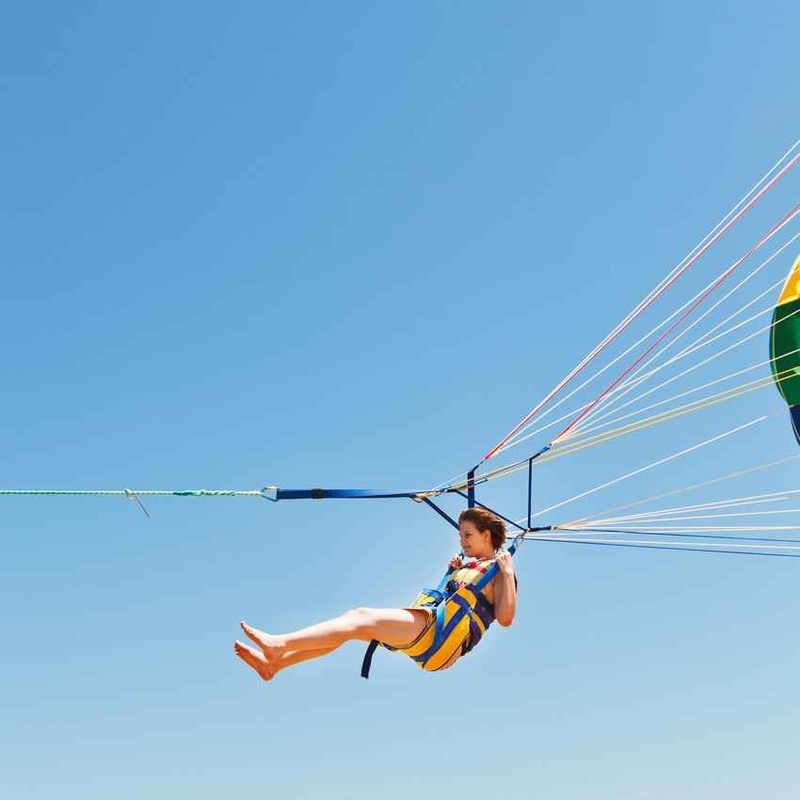 Parasailing allows you to sail through the air with a view of ocean, sand, and jungle. It’s a view that only the birds normally get to see. 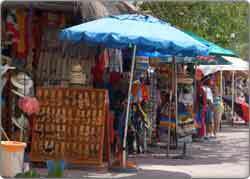 Here is a cool video you can check out that was shot in Playa Del Carmen. As you can see, there are some beautiful views to be had from high in the sky. I thought the parasailing boat was going to crash into the pier at one point in this video, but luckily it never happened. Take a look at it and let me know what you think of it (and parasailing, in general) in the comments section at the bottom of this page. Parasailing In Playa Del Carmen? What On Earth Is That? Parasailing involves a boat, a harness, a parachute, and you. 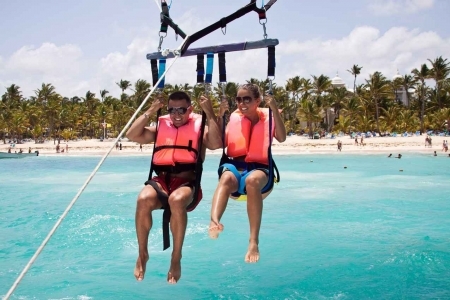 The harness connects you to the boat and the parasail wing soars above your head. As the boat accelerates away, the parasail carries you into the air until you’re high above the ocean and the people on the beach become little midgets. Kick back, enjoy the view, and relax in the tranquility of the sky. Even if you want to do something you can’t. You have no control over the sail and everything is in the hands of your capable boat captain. If you try fighting and controlling the movements, it’s not a nice experience. The key is to surrender to the sail and let it pull you through the air above the ocean. So, Why Should I Go Parasailing In Playa Del Carmen? 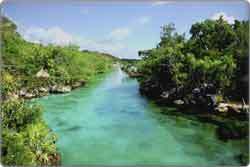 Playa Del Carmen’s landscapes is distinctly marked by blue ocean, white sand, and thick green mangroves. It looks good when up close. 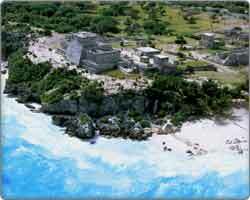 But from the air you can appreciate the scale of Playa Del Carmen’s beauty. It stretches out below until there is nothing but those three clear cut colors. You will likely have the option of soaring like a solitary eagle, or going on a tandem flight and sharing the adventure with somebody else. Here’s the technical part about the skills required for parasailing in Playa Del Carmen. You really don’t need a training course. If you can sit–you can parasail. 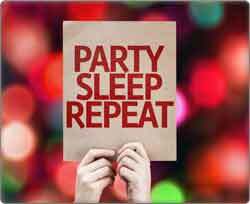 Not surprisingly, some impatient teenagers struggle with this basic instruction. But I think most of you should be fine. Flights last 10-30 minutes, ample time for taking in views of the whole peninsula. I’m A Daredevil. I Want To Go Higher And Faster! There’s always one of these type of people out there. There’s always a lot more than one. Most of us want to go higher and faster, refusing to be placated until the sport has been taken to the extreme. The boat captains can control how high people soar. Specify that you’re one of these people and you will be soaring 250 feet in the air. From this height there is little in the world that can compare with the view of Playa Del Carmen. When you descend they can also give you a cheeky dunk into the ocean. Parasailing boats work from the main resort beaches in Playa Del Carmen. If you can’t find a boat there are usually some Mexican oafs on the beach looking for customers. The main place I’ve seen them hanging out is the area between El Pirate beach bar and Fusion hotel. Different boats stick to different areas of the beach, but all charge similar rates. The cost for the most basic type of parasailing here is usually $65-75 USD per person for a trip. However, if you want to make it a fun, 1/2-day experience, I recommend going parasailing as a tour. Of course there are circumstances where this could change (i.e. you want a longer parasailing experience, you are a large group, you want to go parasailing in a wedding dress, you are bringing along a professional videographer to capture the experience, or any other crazy idea you can think of). If you’re a group, it’s possible to negotiate on the price, especially if it’s not high season or if you have multiple people who are going (i.e. a whole family wants to go). Are You Sure It’s Not Dangerous? If you listen to the US Dept. 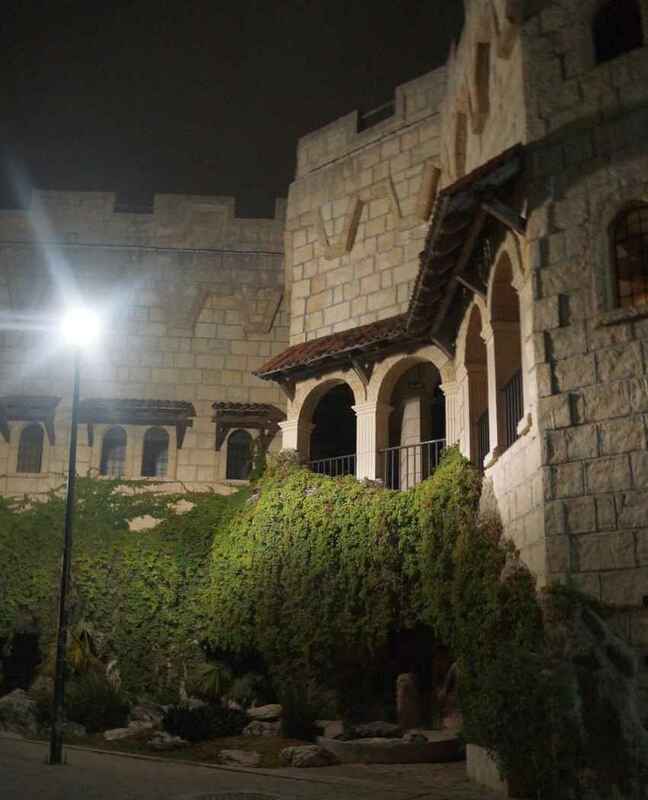 of State, then tourists have been dragged through palm trees and slammed into hotel walls. Then again, they also believed Iraq had weapons of mass destruction. There probably is some inherent risk with being towed at 250 feet in the air, but accidents are extremely rare (i.e. you are more likely to die in a car accident). If you’re not sure check out the quality of different boats. New equipment and a professional looking crew is always going to be safer. The most danger occurs when the wind kicks up. So if it’s tornado-like conditions and some moron offers parasailing, you know which finger to raise at him. A man snorkeling underwater and surrounded by lots of fish. 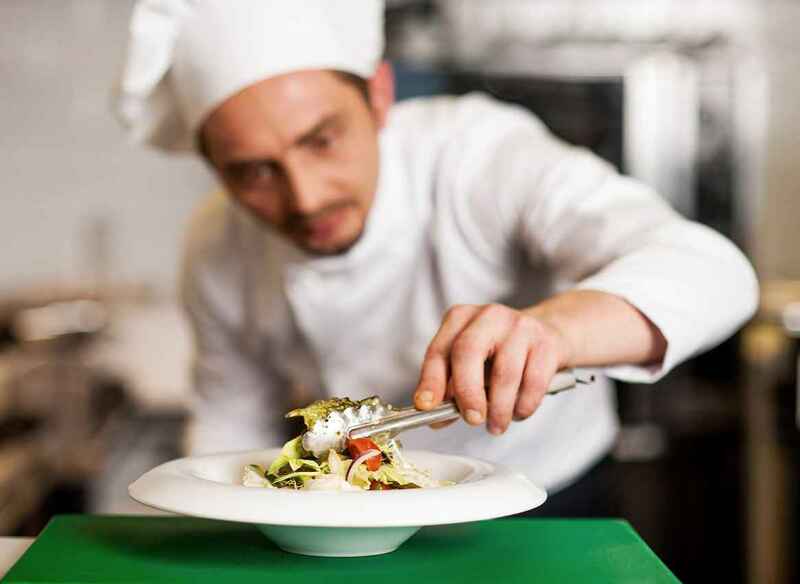 The opportunity to have a private chef for guests. A cool guy wearing handcuffs with two beautiful women standing on each side of him. A man and a woman kissing on a street in Playa Del Carmen. The Tequila Barrel on Fifth Avenue. 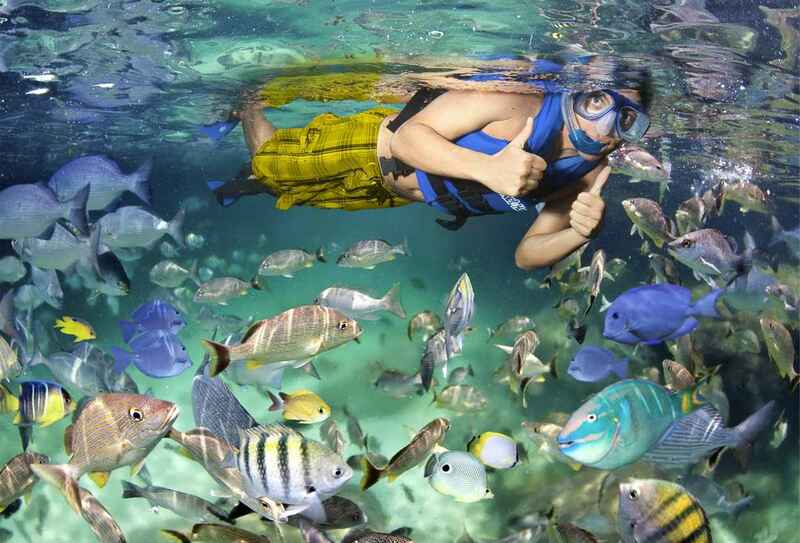 A man and a woman are smiling while they are snorkeling at Xcaret themepark. 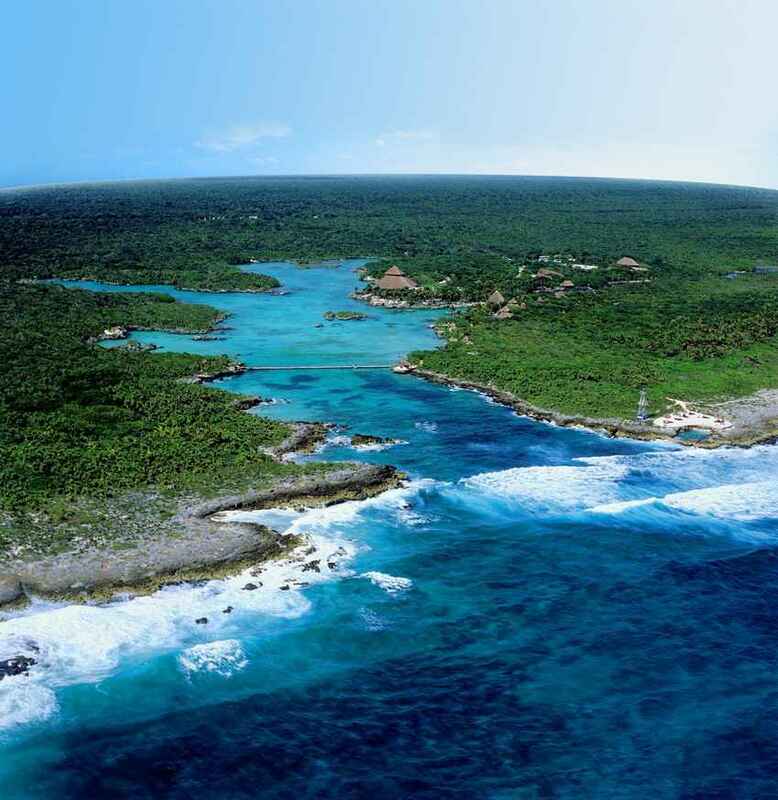 Xel-Ha themepark from the air. 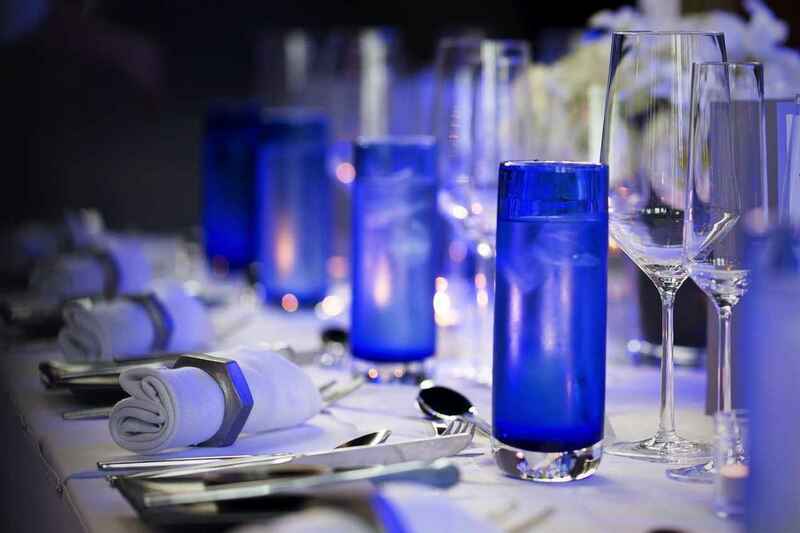 A dinner table set to serve a wedding party. 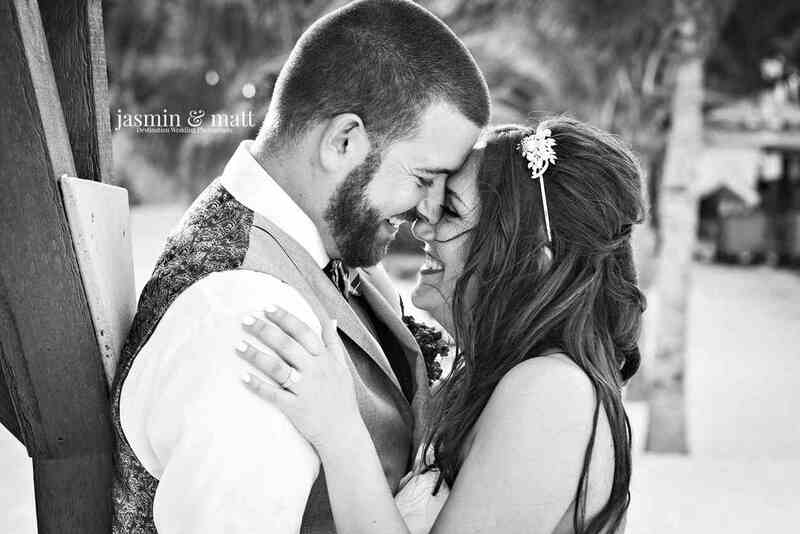 A black and white picture of a bride and groom kissing near some trees. Please remember to say thank you while in Mexico. 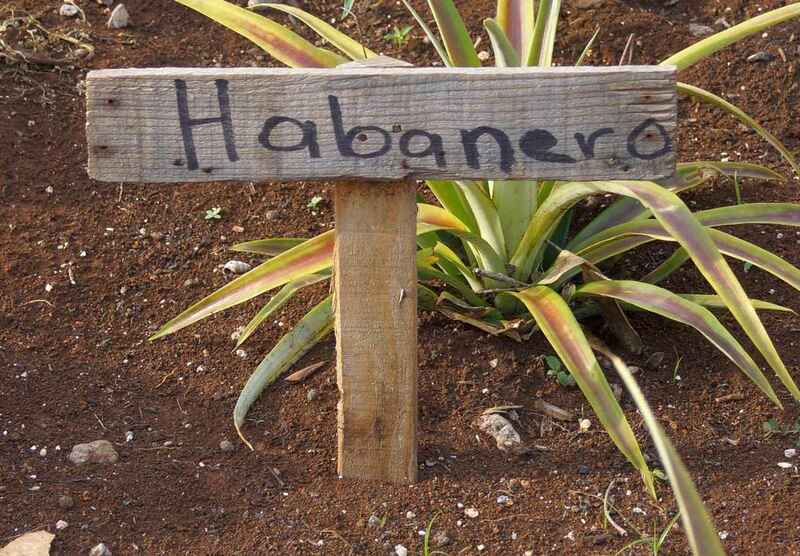 Habenero peppers growing in a garden. A castle like structure in downtown Playa Del Carmen. 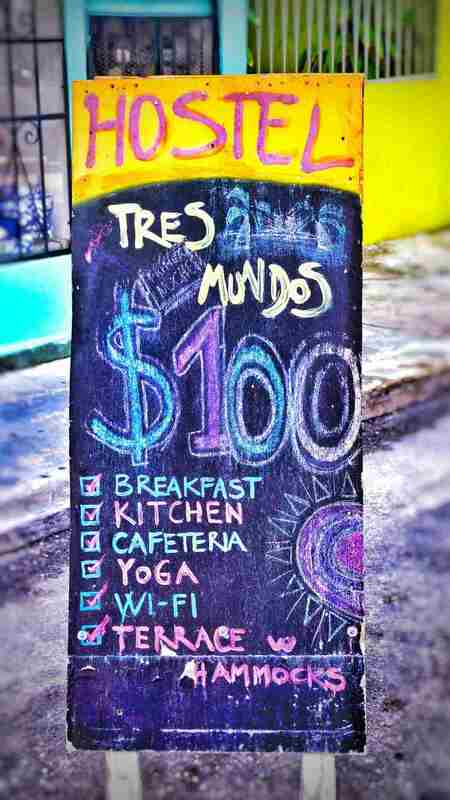 Tres Mundos Hostel price sign on street. 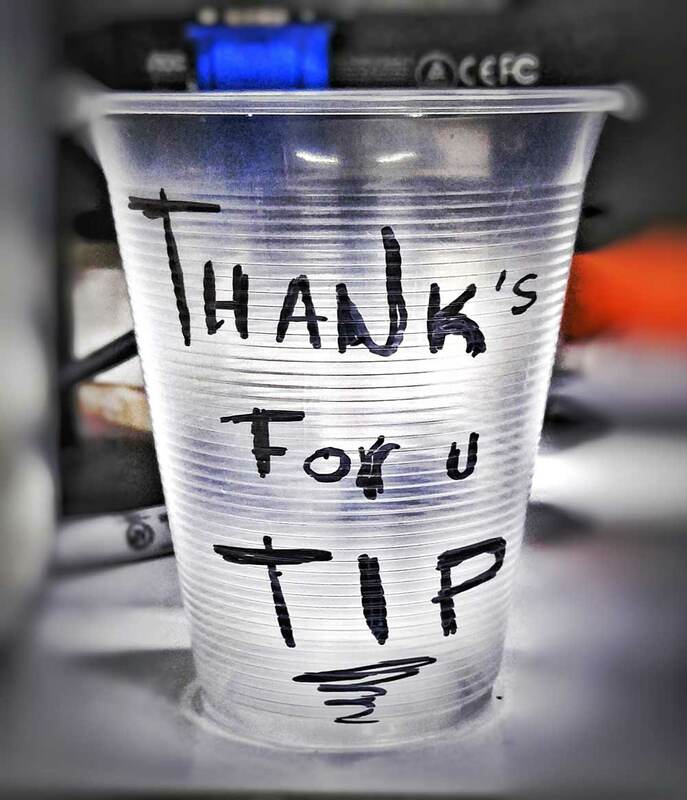 A tip cup that was on the counter of a liquor store in Playa Del Carmen. A swimming pool with a glass crocodile emerging from the jungle. 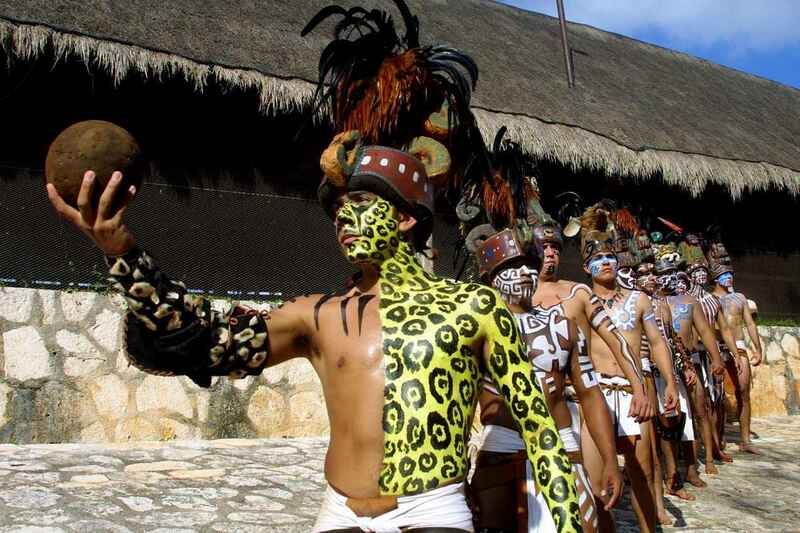 A reenactment of the famous ancient Mayan ballgame. 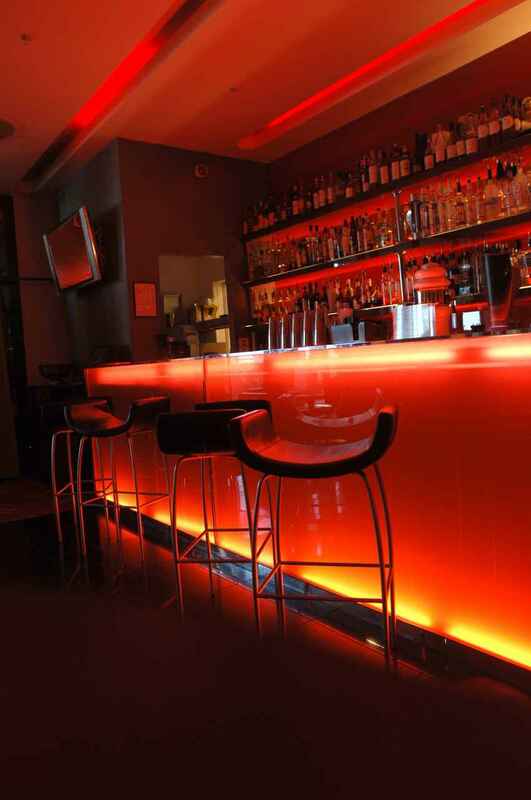 A beautifully designed and neon lit bar. 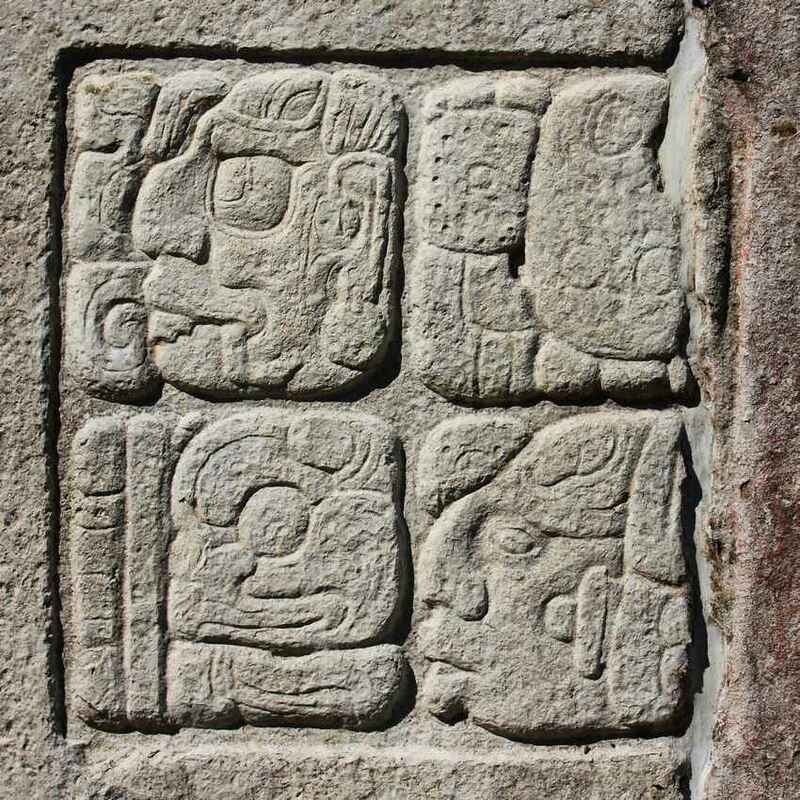 Mayan art on the side of a rock formation. A romantic couple sitting in lounge chairs near the beach and the jungle. A bride being carried in a canoe by Mayan warriors. You don’t have one of those. Okay, I recommend checking the skies for any high winds or dark clouds. 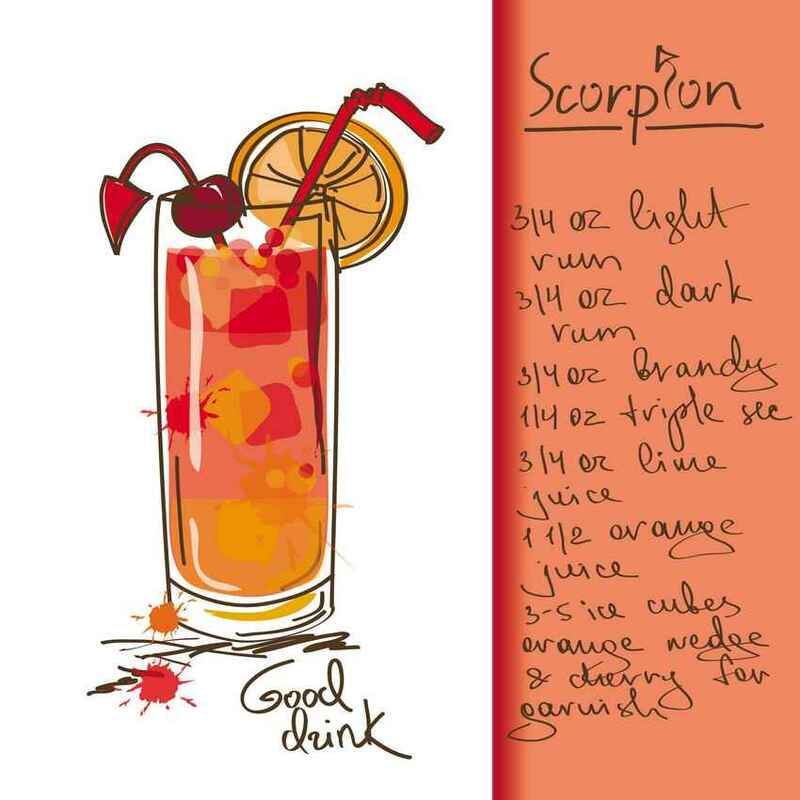 It’s probably a good idea to be sober – or at least not too drunk. Dangling above the ocean on a rope isn’t the best for drunken stupors. If you weigh less than 100 – 120 pounds then stock up on the burgers as operators should observe a minimum weight limit. Either scoff on some fast food or find a buddy to do a tandem with. I’ve seen a lot of competition for business along the resort beaches, so shop around for a deal and don’t get in the boat until you’ve seen the equipment. There really isn’t much that compares with soaring high above the landscape when parasailing, so don’t forget your waterproof camera. And when it’s a landscape as beautiful as Playa Del Carmen, you’ve got a story that won’t be forgotten for a very long time. Happy parasailing, and I hope to see you soaring above the beaches soon! Do you have any experience parasailing in Playa? Leave a comment below! At the end of your flight, does the boat pull you in or do you drop in the water then they pull you in? As part of the landing/taking off process (for lack of a better word), you will not enter the water. There is a platform at the back of the boat that allows you to take off/land smoothly. The height of passengers is controlled by an electric winch (the things you see on the front of off-road vehicles that pull them out when they get stuck in deep mud). Despite this, many passengers like the excitement of having their feet/butts touch the water, so if you tell the boat captain you want to get “dipped” in the water, it is possible. In parasailing terms they call this a “stop & go,” and is controlled by the boat’s throttle. But, I would advise against this because sharks follow the shadow of the parasail and love biting off legs as they dip in the water. It’s like chicken wings to them. I am completely kidding about the sharks. Hope that helps, Jenny, and I hope to see you here soon! I’ll be in Playa on Oct 24th . 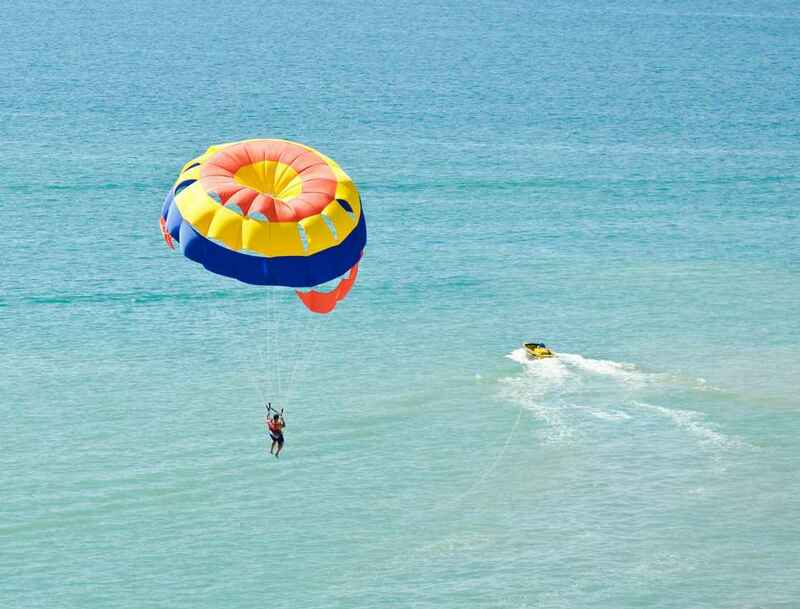 Iam staying at the Royal Playa Del Carmen resort .. Where can I parasail close by? First of all, thank you so much for the comment and congratulations on your decision to come to visit Playa Del Carmen. The Royal is a very classy resort with strong principles of customer service and a reputation for treating guests very kindly. It is also conveniently located. If you want to go parasailing while you are staying at The Royal resort in Playa del Carmen, you can do so directly at the beach in front of the resort itself. Like most large resorts, The Royal has a dedicated office for activities, tours, and excursions around the area. Inside The Royal, there is a company called Aqua Excursions (it used to be called Aqua World but has recently changed its name). Unfortunately, they do not offer parasailing directly out of this office. However, because a lot of people request to go parasailing, there is another company that is located directly in front of the resort on the beach who offers parasailing. The name of this company is DiVide. This is who you will likely go parasailing with. 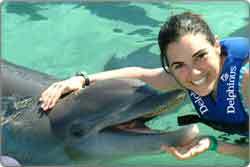 So, although this company is not associated with The Royal in any way, the people at Aqua Excursions can walk you out to the DiVide representative, introduce you, and you can go from there. 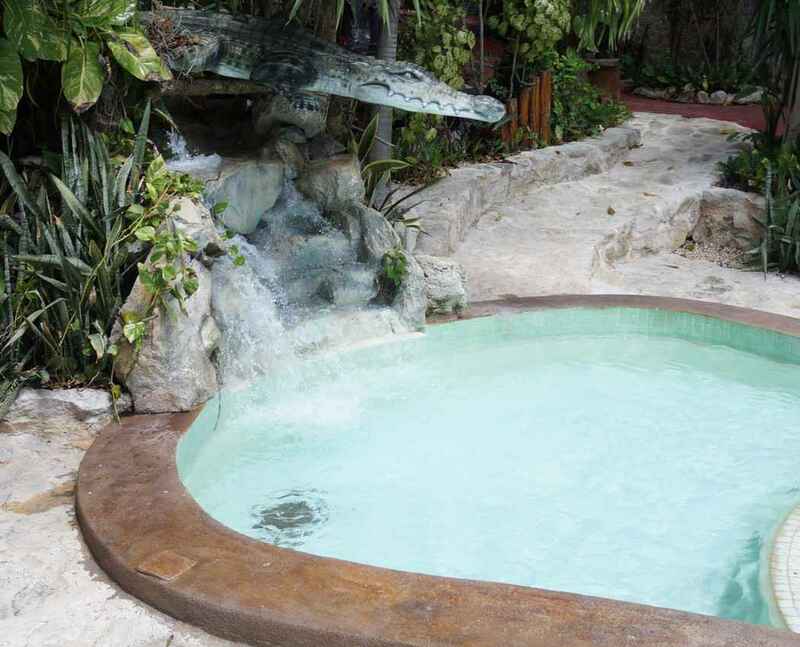 In regard to pricing, the man that I talked to at Aqua Excursions said that the price is $75 USD per person. 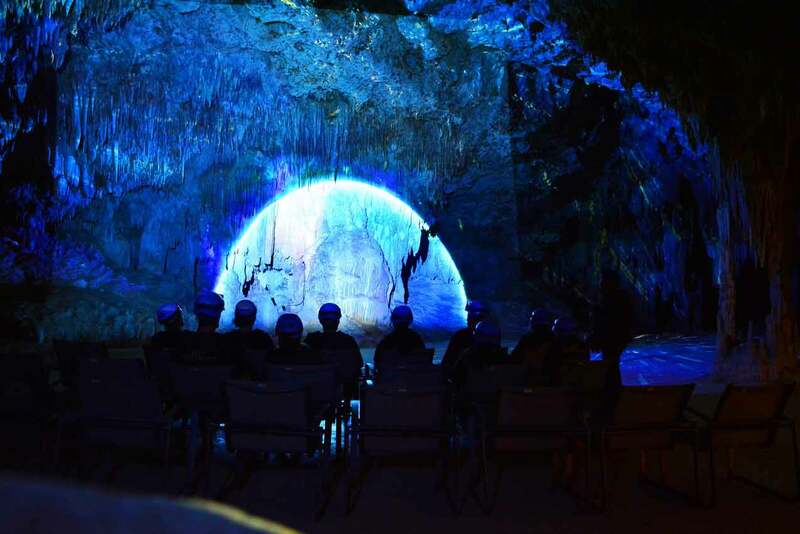 Moreover, I found out that the entire tour lasts about 45 minutes total. 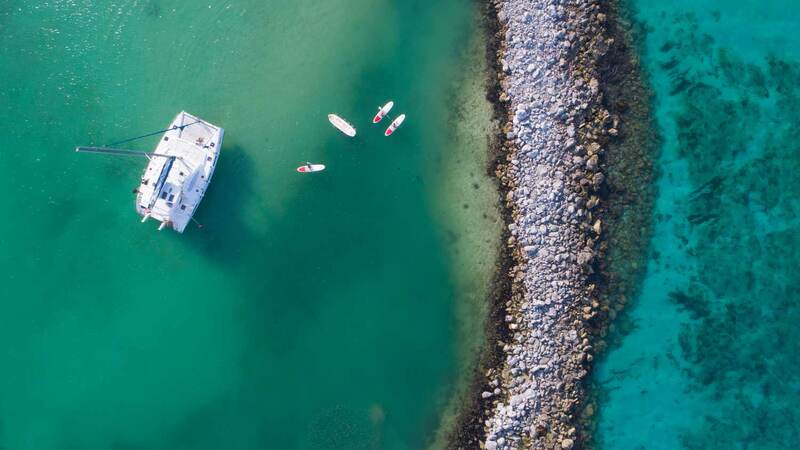 15 minutes of that is spent in the air and the other 30 minutes is getting you out to the boat, providing a few safety tips, and bringing you back in after you’ve gone parasailing. The Aqua Excursions representative I talked to also mentioned that they take you out to the boat on a jet ski, so I guess you could include a short jet ski ride as part of the tour. That is all the information that you need, and you can count on the staff at The Royal to help you with whatever else you may need; you should have no problem whatsoever finding out any other details about going parasailing while you’re here. 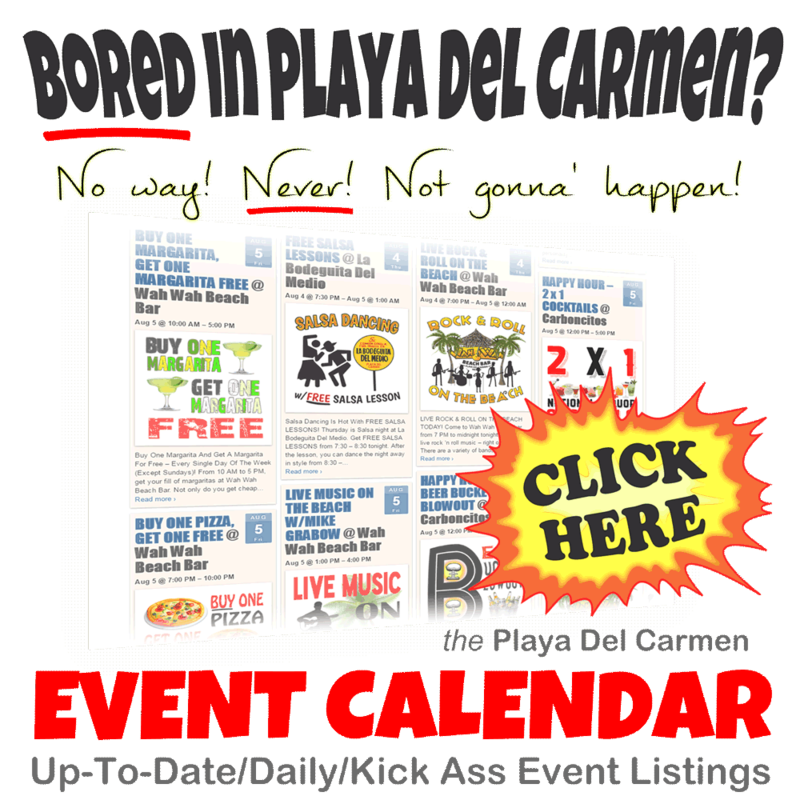 I hope this helps, Lisa Marie, and I hope you have an incredible vacation here in Playa del Carmen, and if you want more information about other fun activities while here, take a look at my Events Calendar! Thank you for a very informative and light hearted page packed full of information. 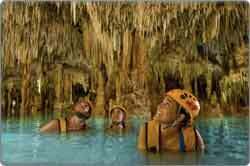 John (my partner) and I will be visiting the Riu Yucatan in May and as I am petrified of the sea, have always steered very clear of water sports. This is John’s first ever visit to Mexico and as it is both our 50th birthdays this year (hence the special holiday), I would love for him to experience of parasailing with me but I am SO scared (we call this being a ‘woos’ here in England)! My worst fear is landing in the sea but from your information, this is only done if you request it. I am not the best with heights but I really don’t want him to miss out because of my fears, and I know he really wants to do the sail with me. John is also considering a sky dive – he did one here in England last November and loved it, so to do one over the sea would be amazing for him. 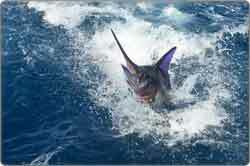 We have looked into the trips in the area, but few of the really take our fancy. 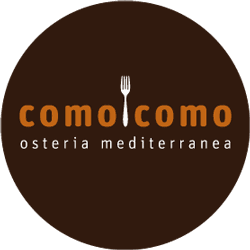 Are there any you could recommend which are good value for money? We are so excited about visiting Playacar. We know it is just going to be amazing. 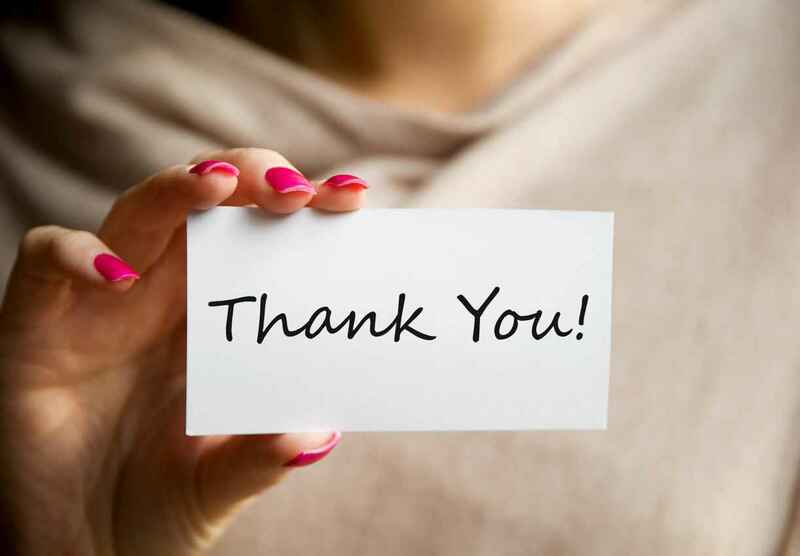 Many thanks for any advice you can give. 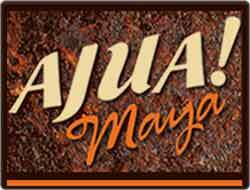 Congratulations on your decision to come to Playa Del Carmen. I think you’ll have a great time here. There are a lot of things to do. If you do decide to go parasailing, you shouldn’t have any problem avoiding the water. Also, if you make a signal agreement (hand signals should be sufficient), then you should have no problems going near the water. Just let them know about your phobia. In regards to skydiving, there is one company that I would recommend (click on link above). There are two companies here the last time I checked. However, only one is safe – and that means something when jumping out of an airplane. Whatever you decide to do, send me some pictures of your adventures! Thanks for all the info and video! I am going in July-Aug 2017 and this is one thing I have been wanting to do for years. I had some questions about it all but you answered all of them for me! I can’t wait to do this!!! Thanks again! You are so welcome. Thank you for the comment. It is always nice to hear from visitors such as yourself. 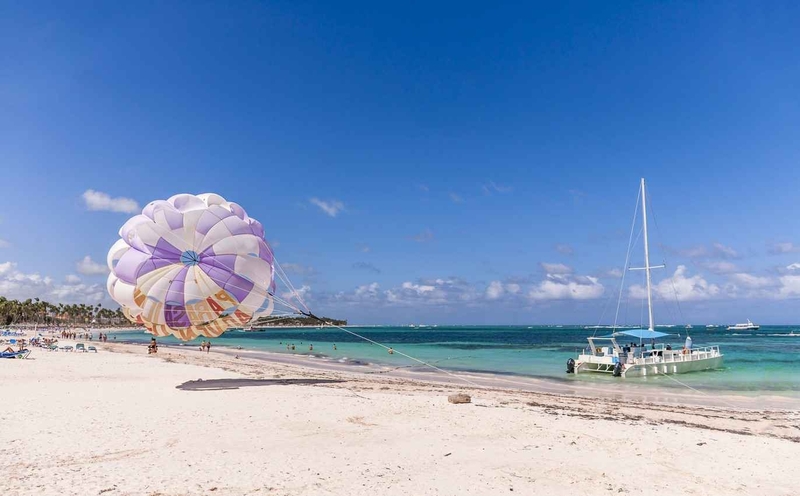 Among the multiple excursions we are planning for our vacation, we have many people in our group that want to try parasailing, (approximately 7-10 at least). We sill be staying at the Iberostar Paraiso August 3-7th/ 2017. What would you recommend to get the best rate for this many people? Is there a company that could handle this many at one time so that we are together? It sounds like you and your group are looking for adventure. You’ve come to the right place if fun is what you want. There are a lot of things to do in this city, so I’m sure you won’t get bored. In regard to your question about large group parasailing, it’s possible, but only 2 people can be up in the air at once per boat. Moreover, the airspace is limited in the sense that if several boats are parasailing at once, the last thing you need is two parasail lines crossing each other!!! In any case, it’s best if you fill out the form on this page because it will be sent to the right person. I also sent you an email with all the information you need. I hope this helps, Susan. If you need anything else, don’t hesitate to contact me. Hola Rufus! I LOVE your site, and as a solo female traveller, I’m especially thankful for your honest and funny reviews. I’m in Playa now and hoping to make contact with Caesar before I go. Muchas gracias! Thank you so much for the positive feedback. I made the site especially for people like you who wanted honest, not-necessarily-politically-correct information that didn’t skew the truth. Caesar has received your email. I chatted with him immediately after I received it. However, apparently Caesar could not get through to your hotel. I sent you an email, but I’m assuming you probably don’t have access to it unless you’re near wifi. In any case, Caesar will get hold of you. I hope you’re having a great time here so far!!!! I only have one problem with Playa. I want to stay! Haha. That’s funny. But believe me, it is not uncommon! I hear this from visitors all the time. For some reason, people get connected with this city from the moment they arrive. The very air you breathe in this city is enchanted with some sort of strange fairy dust that causes people to fall in love with the place. I know first-hand because that’s exactly what happened to me! My husband and I will be celebrating our first anniversary at the Thompson Beach House this weekend. 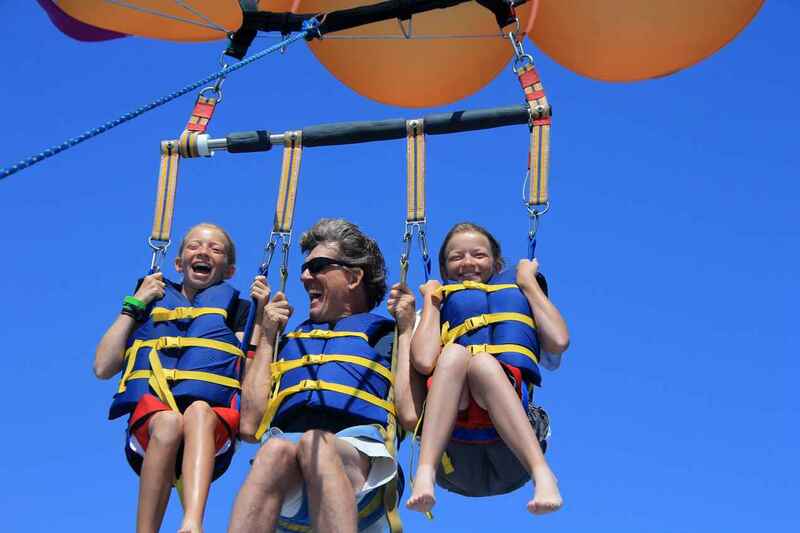 Where can we get the most bang for our buck on a great parasailing ride during our stay? Thanks for the comment. 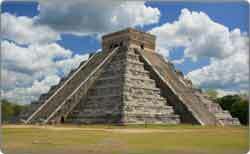 Congratulations on your decision to visit Playa Del Carmen on your anniversary. You really can’t go wrong here because there are so many things to do. Moreover, the Thompson Beach House is centrally located, close to everything, and quite luxurious with many included amenities. You’ll enjoy it there. In regard to parasailing, I’m going to send you the contact information via email. If you fill out the form above (in the blue box), you will receive the same information, but since you haven’t yet done so, I’ll send you the info directly. Have a great trip here and also a happy anniversary! Came across your page doing some research on parasailing in Playa Del Carmen. 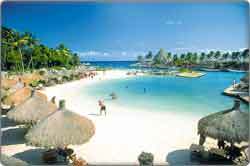 Going on a girls trip and thinking of staying at Ocean Maya Royale the first week in December. I don’t see that on your all inclusive list – any thoughts on that one? Also- can you recommend a vendor to book parasailing through at that location? Thanks so much for the comments. I really enjoy hearing from you. In regard to parasailing, I work with a super awesome person who takes care of anyone who wants to go parasailing. She’s a fun person and really friendly. I am going to send you an email with her contact info. In regard to your resort, unfortunately I am not very familiar with it. I have never stayed there. It looks really nice. The only drawback I can see is that it’s a bit of a distance from downtown. 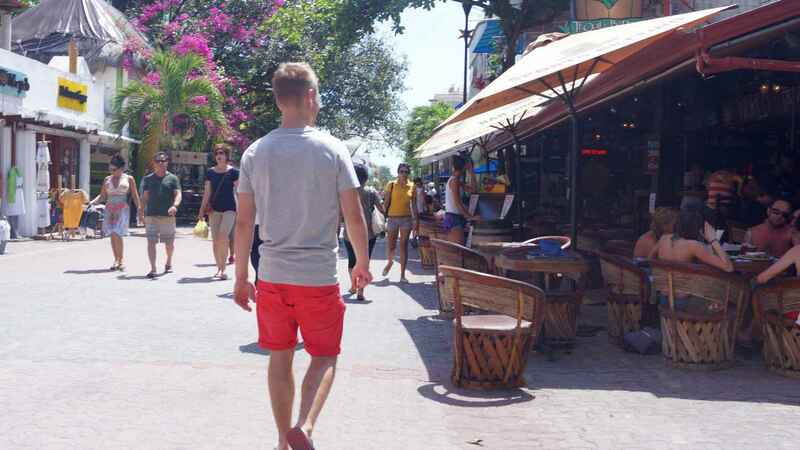 You and your girlfriends will absolutely love Playa Del Carmen, so it’s always nice to be close to all the action here. Other than the distance, you will be fine at your resort. I hope you enjoy your trip. This is a small town, so maybe we will bump into eachother! Talk to you soon, and be sure to check your email.